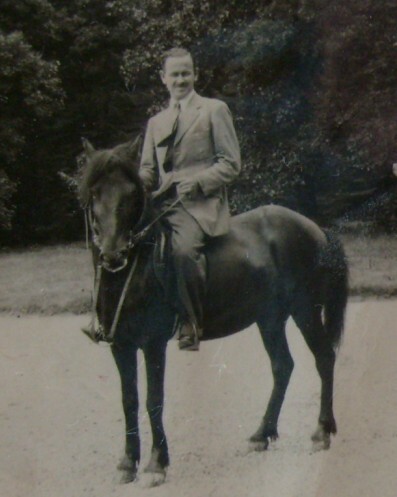 Edward Joseph Harrod (Ted) was born on 29 April 1916, together with his twin brother Jack, to George Edward Harrod and Margaret Elizabeth Harrod in Liverpool. Born in 1883, George had served as captain of an ML (forerunner of the PT boat) in the Royal Naval Volunteer Reserve during World War 1. He later took over the family furniture manufacturing business, which struggled to survive the depression of the thirties, and he subsequently was employed as a cabinet maker/carpenter at Smithdown Road Hospital in Liverpool. George’s elder brother, Joseph, sailed as a member of the crew on the last voyage of the liner Lusitania, which was sunk by German submarines in 1915, with large loss of life, including Joseph’s. George died of prostate cancer in 1951. Ted’s mother, Margaret, (nee Freeman) was born in Market Deeping, a small village in Lincolnshire, in 1886. She died from a stroke in 1957. Following the loss of George’s business in the depression, Ted and Jack were forced to find employment as soon as they finished secondary school, which they completed on scholarships at the Liverpool Institute. Jack found a position in an accountant’s office, while Ted joined the RAF. Other medals awarded were 1939-45 Star, Africa Star, Italy Star, Defence Medal and War Medal 1939-45 and the Kenya Medal 1950-52. World War II changed Ted Harrod’s life forever in so many ways, particularly because of his association with the Royal Air Force. 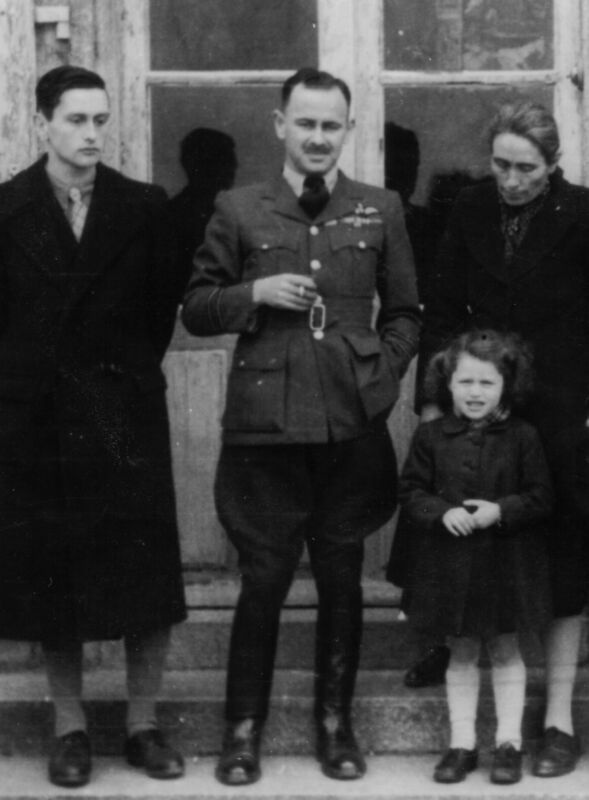 He became a pilot, an officer, was decorated for gallantry, travelled to Africa, which later became his home continent, and married as a direct consequence of all this. Some say the stresses and strains of his latter years’ service in the war could have contributed (along with the 'sugar butties' and 'dripping tin' he tucked into on a Sunday evening) to the coronary thrombosis that cut him down at 51 years old in 1968. At the outbreak of the war he was serving in a Bomber Squadron, but the pressing need for more pilots, and the fact that the RAF recognised his superior flying skills, saved his life. 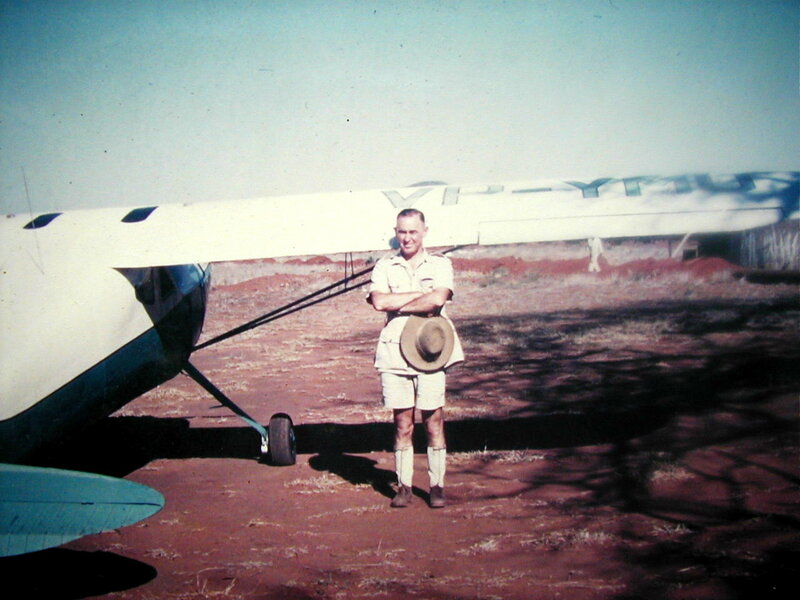 He was selected as a flight instructor and posted to Thornhill in Southern Rhodesia, in 1940/1. Consequently, he was the sole survivor of the original Squadron who were all killed on operations. In Africa, he trained many RAF pilots, and became enthusiastically involved in big game hunting with some local Rhodesian friends. Many anecdotes remain in the family from this period in Ted's life, and have been passed on to his grandchildren in the form of exciting and amusing fireside tales. Ted Harrod never knew his grandchildren, but they know him! On one occasion, he decided to stay out at night to try and bag a lion, so he shot a zebra to use as bait and planned to hide up in a nearby tree and wait for the lion. Unfortunately, the zebra fell too far from the ideal tree he had chosen so he had to settle for a diminutive tree, which did not offer much protection at all. Nights can be cold in Africa so he sent one of his bearers back to the camp to ‘fetch some clothes for the night’. The trusty bearer returned after a while – with Ted’s silk pyjamas! Later that night, around 3 a.m., Ted was extremely cold and gingerly ventured down from the tree to light a fire, which soon ran out of wood so he had to venture further afield to gather fuel and cracked a large branch, not only scaring himself but also frightening off the lion which had been hiding nearby – Ted got such a fright he was back up in the tree in seconds, having taken ten minutes to carefully climb down! On reflection the next day he realised the tree he had been camping in was no match for a hungry lion who could have easily reached up and removed him from the tree. A trainee of his at the time, Cedric Harrod (no relation) recalled Ted's sense of humour by describing how, after one particularly rowdy mess dinner, Ted went missing. The mess carpet had been rolled up when the dancing started, and at some stage, Ted had crawled inside it and fallen asleep. It was only later the next day he was discovered. By 1943, Ted was itching to get into active service and caused his CO so much trouble that a ‘Volunteers List’ was finally placed on the Thornhill notice board. Apparently, Ted was the only volunteer. 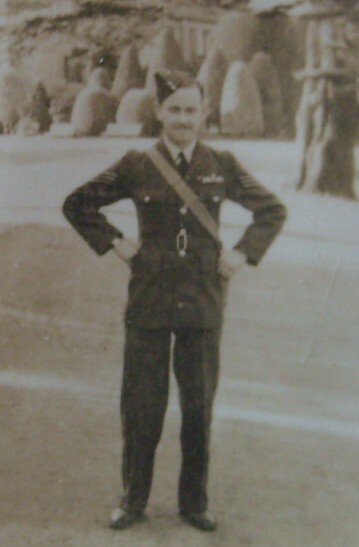 He was posted to North Africa and joined 267 Squadron, part of transport command (216 Group). 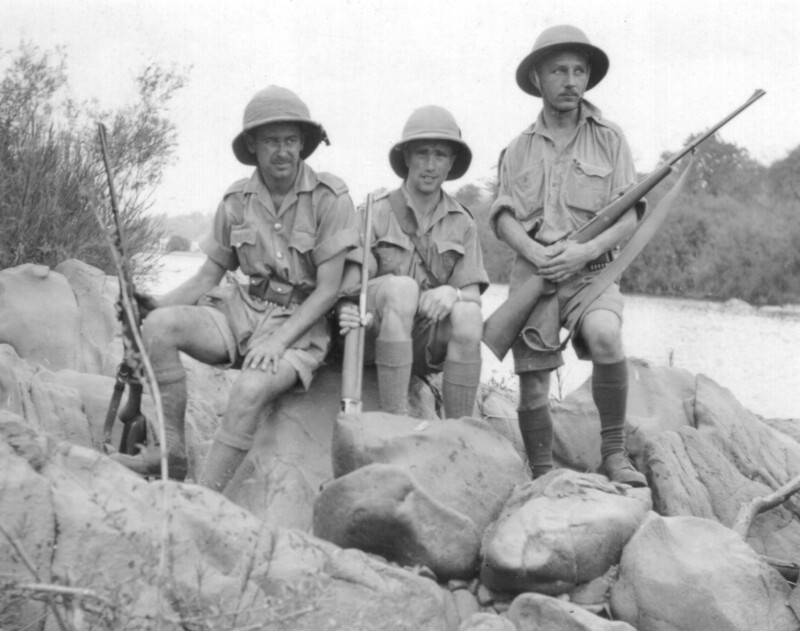 Apart from the mundane, many 'special project' sorties were carried out behind enemy lines as the armies advanced northwards from Africa and into Italy. Their squadron was supporting partisan and other special operatives, dropping people and supplies far behind the front lines, usually always in the Dakota aircraft. Though unarmed, unarmoured and slow, Ted had a soft spot for this 'plane, and it became synonymous with him as he clocked up over 10,000 hours flying. Incidentally, one of Ted's grandchildren, Matthew, was born on 17 December 1985, the 50th anniversary of the Dakota, and bears a second name 'Dakota’ in honour of Ted's affection for the aircraft. Ted’s sorties behind enemy lines involved many flights into Yugoslavia to deliver personnel and supplies to the partisans fighting the Germans and to bring out people - highly hazardous missions. 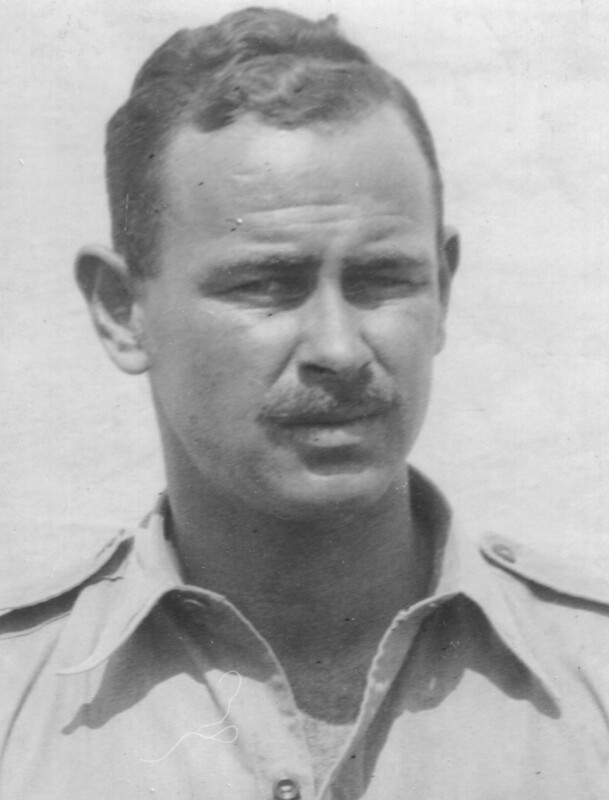 Ted's best-known sortie was as the leader of 'Operation Wildhorn 1’ in 1944, about which, as with most decorated officers, he only spoke when pressed. His view was there were many, many more courageous feats performed by people who usually died in doing them and were never heard about or reported, and consequently never spoke much about his own achievements. 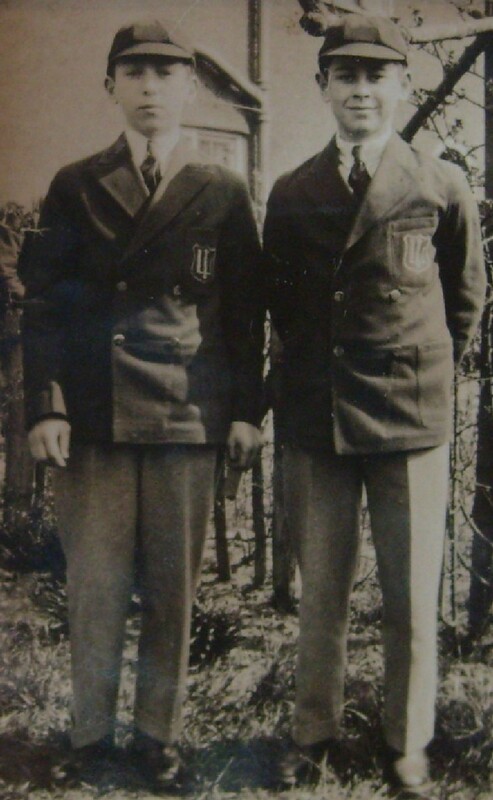 During 'Operation Wildhorn', Ted, then a Flight Lieutenant, rescued General Stanislaw Tatar, the Director of Operations of the Polish Underground Army, from Lublin, Poland. 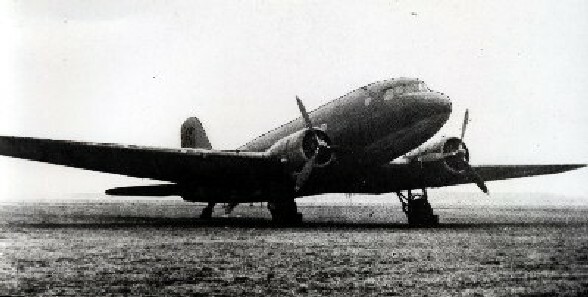 This mission involved flying by Dakota from Brindisi, Italy, and a hazardous landing in a beetroot field. Never told was the fact that he and his English and Polish crew took off many times over the preceding month, fully expecting to complete the mission each time. If the Warsaw Concerto was played over the radio, this was the sign to abort, and they had to turn back. Each time they turned back to the strains of the Warsaw Concerto, weather and ground conditions not being ideal. Suffice to say, this lovely piece of music did not remain one of Ted's favourites for long! Eventually, on 15th April 1944, the operation went ahead, and the mission was successfully completed. Ted was awarded the DFC (Distinguished Flying Cross] and the Virtuti Militari, Poland's highest award for bravery. (The Liverpool newspaper reporting the mission said 'RAF pilot from city awarded Polish VC'). His younger brother, Bob, recalls the party they had before the investiture. The Polish Government in exile had put him up at the luxurious Claridges Hotel in London. On the spur of the moment, and literally like a bolt out of the blue, he had invited his younger brother, Bob, (then a Royal Navy sailor) and his new wife, Joan, to join him for the festivities. They had no idea of his whereabouts at the time, little realising that he had just completed a mission that had earned him one of the world's highest awards for bravery. Festivities consisted of a long and particularly liquid lunch in a private room, hosted by the British. In the late afternoon, Ted and his escorting group left for the meeting and dinner with the Poles, which included the Polish Prime Minister in Exile in Britain, at a location outside London where the investiture took place. The war did not make him brave - he was always that, if perhaps a little too daring and reckless. More importantly, it gave him confidence in himself, confidence that he could and should make a difference. It also led him to recognise ultimately that the world needed to re-arm, not with guns and bullets, but morally. In the ideas of Moral Re-Armament he recognised the best way of securing the peace for which he had fought. When he decided to apply them, his life took on a totally new dimension and led him in many different directions - another adventure which he readily accepted. This awakening of an idea led him to find a deep and lasting Christian faith, which he cherished, lived and shared with Patricia for the rest of his life. Ted's war days were perhaps his best days in the RAF, but unlike others, he was to find other challenges once the war was over. Stationed at Rennes, France, in 1945 to 1946, he was called upon to act in local government to maintain law and order as France reverted to self-government. He still found time to hunt wild boar from horseback with his new-found French friends. It was at this time that he was also in charge of crash investigations, a job whose memories haunted him for years to follow. He was convinced that most crashes were due to a combination of minor, unrelated things which all happened at the same time, though he later became very disillusioned with the standard of flying shown by many private pilots in Rhodesia and South Africa and came to believe that many accidents in later times were the result of pilot error. One of his great friends during his time in Africa time was Arthur Higginson, who asked him to visit the Higginson family in Liverpool after the war. This Ted did, in 1946 and consequently met, fell in love with and married Arthur's lovely niece, Patricia Roberts at the end of that year. From 1947 to 1951 he was stationed at various airfields throughout England, and, in 1948, he played an active part in the Berlin Airlift and flew scores of missions into Berlin in the beloved Dakota. He participated in the operation from the beginning. Brother Bob and his wife, Joan, were visiting Pat and Ted at the time when, one evening as they sat around after dinner, Ted was abruptly called to duty for an unknown assignment. They later learnt it was the start of the airlift! In 1951 he, with growing family, was posted to Kenya for 3 years during the MauMau uprising. He was OC Flying, Eastleigh, not only bombing the MauMau forest strongholds - a fruitless mission, which brings to mind Vietnam, and current operations in Afghanistan (2001) - he also flew the captured leader (later to become first president) Jomo Kenyatta to the Northern Frontier District, where he was imprisoned. True to form, but now with a focus on photographic hunting, he found time to organize the very successful RAF Safari Club. It was also at this time he crashed a 'plane during an open day at the Squadron airfield. Unknown to most people (and this was the problem), he dressed in overalls which he had borrowed from an African worker at the airfield, and covered his face in black boot polish. At a strategic moment, in front of the whole crowd, he broke away and dashed to a 'plane, left idling by another accomplice. To the horror of the crowd, this 'black’ man slewed the aircraft into the air and miraculously flew it around, all the while performing spectacular stunts in mid-air, before staggering back to earth with the engine stalled. Great entertainment. The only problem was that air traffic control, despite being advised of the stunt in advance, had allowed another 'plane to take off, and cross right in front of him as he finally glided onto the runway with his engine cut. The result: Ted avoided the other 'plane but wrote his one off. Ted got out alive though the aircraft burst into flames in front of his family. There were harrowing moments to follow, as they were not immediately aware that he had escaped safely. 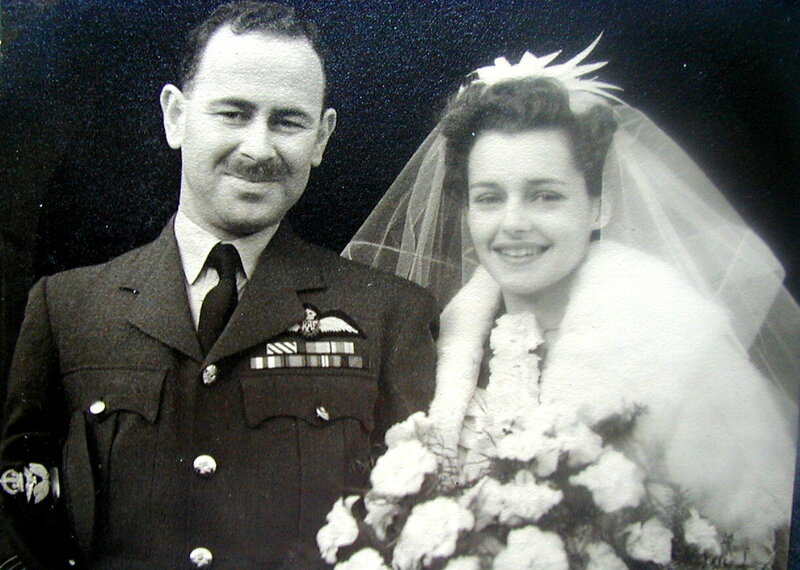 Ted and family returned to the UK in 1953 until 1956, stationed at RAF Northwood and the RAF Honiley. 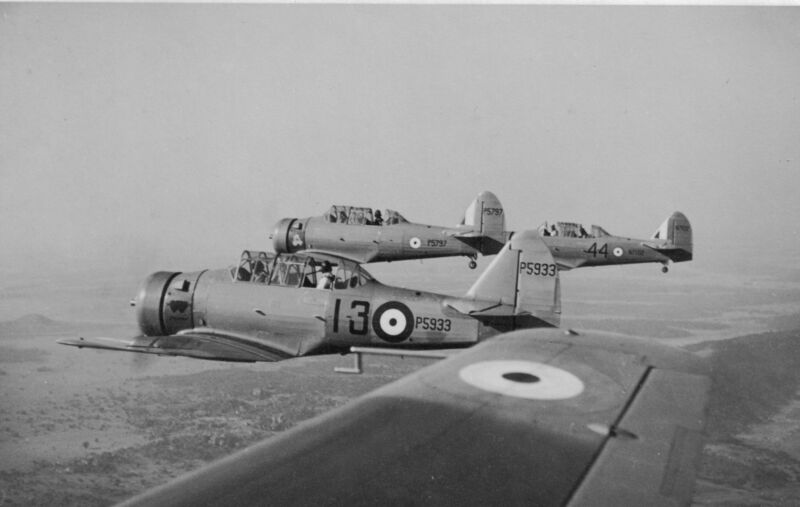 During this time, he managed one flight in one of the first jet aircraft, before his final posting to RAF Khormaksar, Aden, in 1956, where things in the Gulf were still fairly volatile following the recent Suez crisis. Ted spent a lot of time travelling in desert, as he was responsible for a staging post. One day an Arab friend took the whole family into the desert to lunch with the local sheikh - peaches and cream eaten with fingers, sitting cross-legged on the floor. As a special honour his wife and children were allowed to eat with the men instead of after them! Ted and his family spent more time associating with the local fraternity than was the norm, as most officers sipped gin and tonics around the swimming pool ("What else could one do? "), so much so that it was suggested at one time that he was under suspicion for spying! True, one of his young Arab friends was arrested as a spy from the Yemen. What the authorities did not realise about Ted was that he had had a passion for the desert, ever since reading about Lawrence of Arabia and his mentor Charles Doughty. He went with his family to Arabia to follow a dream and it was here in 1957 that he realised the RAF, now shrinking radically in size, offered him little more in the way of career opportunity, or adventure, for that matter. He had held the same rank for 13 years with little or no prospects of progression, so, after 24 years, he and his family became civilians and moved from there to Kenya with one car, 17 pieces of baggage and 3 children! On arrival in Kenya he took a job as stand-in for the Deputy Director of the Kenya National Parks Board while he was on 'Long Leave’ back 'home' in England - from big game hunter to photographic hunter to conservationist, all in 14 years. Now that's progress! During his time with the Kenya National Parks Board, Ted sponsored some novel and innovative proposals to tackle the related problems of poaching and wildlife preservation, which have been adopted years later in several countries with considerable success. The Board's Director, Mervyn Cowie, had wanted Ted to continue with the Board after the return of his Deputy from leave, but at that time the Kenya Government slashed its grant to the Parks and they could not afford to employ an extra person. Ted was restless as a civilian and had a conviction his greatest contribution to Africa could be in assisting the countries to become self-sufficient in food supply. 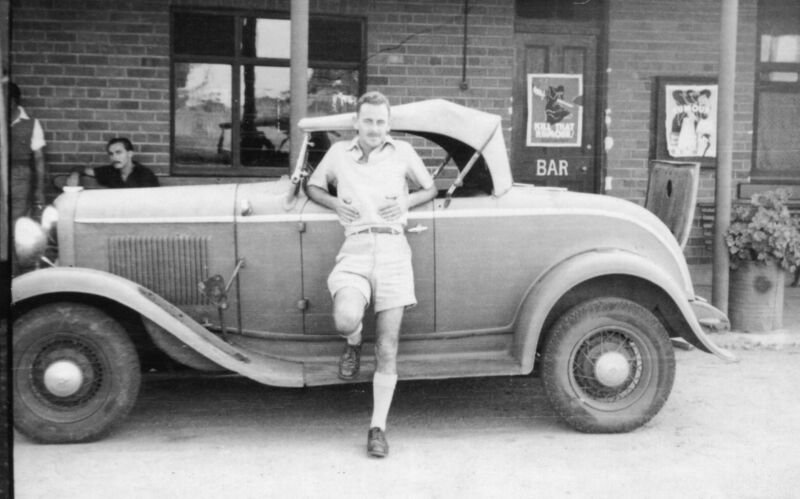 In 1958 he moved the family south, to Southern Rhodesia, packing them up in a large Landrover and driving the 2,000 miles from Kenya. This was an incredible experience, and a once in a lifetime adventure for the family. At that time herds of 2,000 or more Eland and Wildebeest could still be seen on the Tanganyikan plains. The landscapes were unspoiled and vast - often the only sign of civilization being the ribbon of brown dust road winding away into the distance up ahead. Memories of experiences that a child would cherish forever - experiences that Ted's children in turn have tried to repeat for their own children. 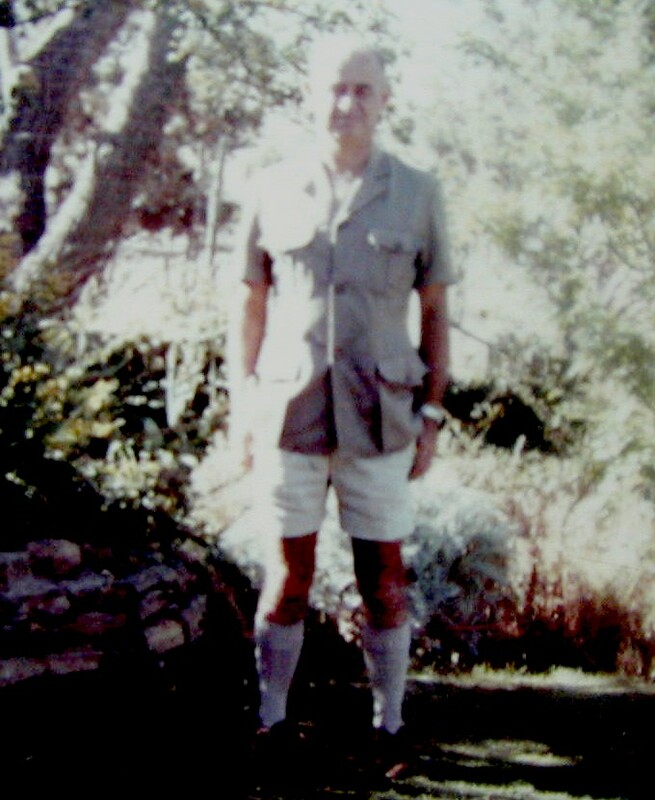 On arrival in Rhodesia, the family stayed for a while with the Higginson family (Pat’s uncle Arthur who had introduced them). Ted then met Allan Kennedy, MD of an irrigation company called Wright Rain, and started work with him in the Bulawayo branch as an irrigation engineer, with no experience but learning as he went. Subsequently, in 1967, the family moved to South Africa to open a branch for Wright Rain in the little town of Potgietersrus in the northern Transvaal. It was here he died on 28 January 1968 of a coronary thrombosis - a week after he had been passed fit to fly and only hours after his last flight. A small compensation to those left behind was that he would have wanted it that way. The bounteous blessings of a world set free. But grasped again the battle of his Lord. And to the heart of man, the Living rain. Raise high his sword and make his fight your own.